Bellwood, D. R., and Choat, J. H. (1990). A functional analysis of grazing in parrotfishes (family Scaridae) on the Great Barrier Reef, Australia. Environmental Biology of Fishes 28, 189-214. Hoegh-Guldberg, O., Mumby, P. J., Hooten, A. J., Steneck, R. S., Greenfield, P., Gomez, E., Harvell D. R, Sale, P. F., Edwards, A. J., Caldeira, K., Knowl-ton, N., Eakin, C. M., Iglesias-Prieto, R., Muthiga, N., Bradbury, R. H., Dubi, A., and Hatziolos, M. E. (2007). Coral reefs under rapid climate change and ocean acidification. Science 318, 1737-1742. Hutchings, P. A. (1986). 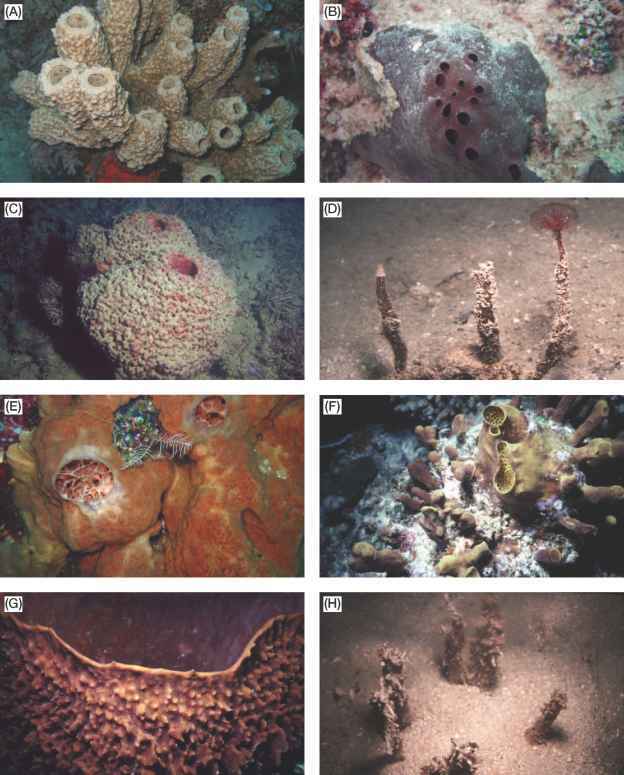 Biological destruction of coral reefs—A review. Coral Reefs 4(4), 239-252. Hutchings, P. A., Peyrot-Clausade, M., and Osnorno, A. (2005). Influence of land runoff on rates and agents of bioerosion of coral substrates. Marine Pollution Bulletin 51, 438-447. Kleypas, J. A., and Langdon, C. (2006). Coral reefs and changing seawater chemistry. In 'Coral Reefs and Climate Change'. (Eds. J. Phinney, O. Hoegh-Guldberg, J. Kleypas, and W. Skirving.) pp. 73-110. Coastal and Estuarine Studies 61(73), 73-110. Kleypas, J. A., McManus, J., and Menez, L. (1999). Using environmental data to define reef habitat: Where do we draw the line? American Zoologist 39, 146-159. Peyrot-Clausade, M., Chabanet, P., Conand, C., Fontaine, M. F., Letourneur Y., and Harmelin-Vivien, M. (2000). Sea urchin and fish bioerosion on La Reunion and Moorea Reefs. Bulletin Marine Sciences 66,477-485. Raven, J., Caldeira, K., Elderfield, H., Hoegh-Guldberg, O., Liss, P., Riebesell, U., Shepherd, J., Turley, C., and Watson, A. (2005). Ocean acidification due to increasing atmospheric carbon dioxide. Special Report, Royal Society, London.